So we bought a 96 Camaro to build for the 2019 season. Most of our team is made up of drag racers, so this should be a lot of fun. Did I mention it came with a T56, hopefully nothing is wrong with it. Take everything you know about drag racing, and erase it from memory. Have fun! The good thing is we know the Camaro platform extremely well (the car will be mechanically sound) but the driving maybe not so much. A Lemons build should mechnically be very different than a drag build. Power is not the most important part of the build, actually its a ways down on things. Reliability is number one, followed by handling. When building just remeber the idea is to be out there on the track as much as possible. so atleast for the first race stay away from tricks you know how to add power. We are about to cage one of these this spring so might be watching these. We stole the L67/T5 3800SC swap out of a kids street drag racer...the shell is just calling for a poor life decision. REALLY absorb everything from the "How not to Fail Tech" picture guide to not stepping on your weiners before you even start. Your major concern is going to be helment clearance unless you go Exo-cage with at least part of the the main hoop section. The good thing is we know the Camaro platform extremely well (the car will be a mechanical disaster) but the driving maybe not so much. Yea, I'm a 4th gen camaro owner. Sooooo many things on those cars will not survive an endurance race. Stupid things.. Like wheel bearings. And rod bearings. You'll have a blast wrenching on that thing at the track. Its perfect for Lemons. I run a 4th gen 3.8 and it is a great platform as you know with tons of aftermarket support. My guess is yours is an LT? Like others said above the cage is NOTHING like a drag cage. All those cages will fail instantly at Lemons. Head clearance is an issue but can be done by dropping the seat and bending the cage upwards a bit into the T-top area. What race are you guys looking to run in? Oh, if you you have a 3800 camero and need the blueprint for a DIY C5 brake upgrade...let me know. From our (dustbuster minivan experience) you do NOT want to run the stock calipers ever in endurance racing. They will literally bend the backing plates on the high end pads until you weld the piston to the caliper....twice...before you learn. The swap is not hard an there are actually companies that sell it. We just made ours out of 3/8" plate and few washers. The van and Camero share the calipers but not the bolt pattern on the rotors so yours is even easier. For us in our fourth build right now we have gotten to a formula. Bob has one stupid reliable roach of an A-body. That is th best order of things unless you are shooting for IoE and then it is make it insane. We wondered on this, since we are caging a 4th gen and would like it to live outside between races, how is corner and rear visibility with the dropped seat? On our Saturn (RIP) it was not an issue and the front cowl height seems fine on the 4th gen but rear deck is friggin high! You use truck mirrors or is it not as bad as it seems? It's not terrible. Our short guys use a booster seat as they have a bit more head clearance. We also put a rest view camera in which I like, but other guys aren't really used to it. We have the stock side mirrors and a wink rear view. We were next to you at the spring Gingerman with our Jag, but I think there may be a decent chance I bring my Firebird for the 19 race there. Possibly just leave it there too so I don't have to transport it from NJ anymore. 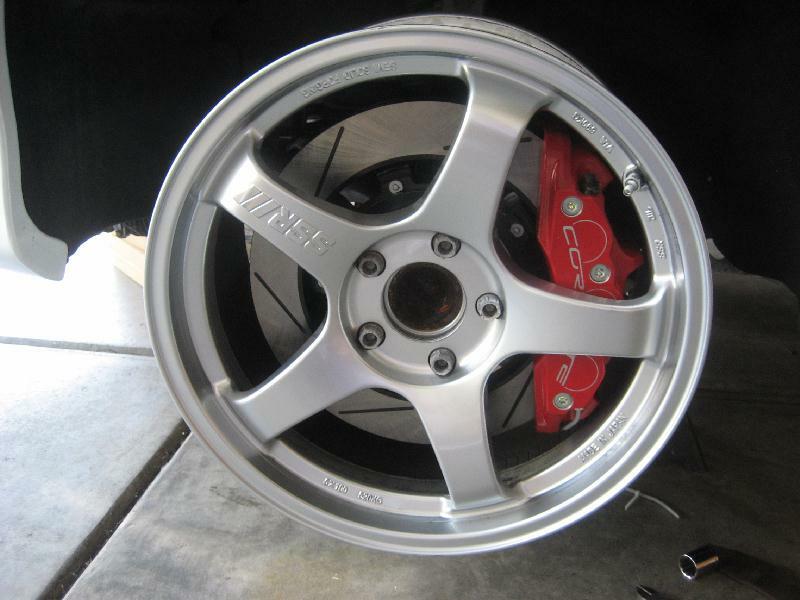 We went to aftermarket for calipers, but will reach out to you if I do the C5 brakes. It needs some love before the next race. We are probably going to throw some sort of LS motor in it and stick a carburetor on it. I'm going to probably order a pre-fab cage specifically for Lemons. I'll make sure we have the 2" space on top. I'm hoping to have the car ready to race sometime in the spring. I'm not worried about power, I'm more concerned about brakes. I think we are going to see about putting a set of C6 Z06 brakes on it. I've been told, but have no personal experience, that LS motors have oiling issues not suitable for endurance racing. YMMV. Unless you can find the right wheels, stick with the C5 setup. It is more than enough brake to haul down our 300# heavier van with ST43 pads and they fit in almost any 17" wheel. C6...gotta be the right 17" wheel or 18" and you really do not want to go 18" unless you have to (tires more expensive, rotating mass usually higher, etc). Roll Cage Components has bent up our last two cages even though we have the tools to do it ourselves. Last time we did it the price delivered to the Fed Ex freight dock was about $60 more than us buying the materials at our (undiscounted) price. I went with the C5 brakes on mine. They worked well and were dead simple to put on. Also went with the firebird 5 spoke wheels instead of the camaro wheels. The seemed a little lighter and were more open. Can't say that I noticed any real difference. I had a LOT of fun abusing a guy in a GT3000 at Road Atlanta. Ah.. Those were the days. Looking forward to seeing another craptacular camaro on the track. FYI, this is what happens to stock V6 callipers if you race them hard. FYI, Super Blue brake fluid burns a pretty green. Most of our team is made up of drag racers, so this should be a lot of fun. The only thing Lemons racing has in common with drag racing is they both involve cars...very different cars! The main thing is to remember that building a car to last 14 hours is much different than building one to last for 10 seconds. Maybe tape a big piece of poster board to the windshield during the build that says "REMEMBER THIS IN AN ENDURANCE RACE". Rarely does the fastest car win one of these things. Looks like you didn't change the brake pads soon enough. That will happen to any brakes if you eat the pad down all the way. Make sure you install a camera over your brake pads so you can monitor their wear while on track. No, look at the top of the melted backer. That is the piston. Small diameter piston of which only 75% touches the pad and a pad length over 7". Even with well regarded endurance pads, the backer would end up bending into a bannana shape and we would have 70% friction material left at either end (0%) under the piston of the pad and the piston had rocked until it touched rotors at the same time the pad backer plate did and became molten. This happenned twice. Once in 7 hours of racing and the other at about 18 hours (different races, new pads each time). I'll be at the Houston race Nov 10-11, I look forward to seeing all the builds everyone has. I'm around crazy drag cars all the time but I'm more excited to see these cars than just about any drag race. STEP RIGHT UP AND SEE THE AMAZING LEMON'S RACERS!! THEY TURN LEFT! THEY TURN RIGHT! THEY EVEN DRIVE IN A STRAIGHT LINE, TOO!! SOMETIMES THEY TURN LEFT AND THEN TURN RIGHT!! YOU WON'T BELIEVE YOUR EYES!!! WONDER OF WONDERS THEY CAN DO THIS FOR LONGER THAN 10 SECONDS!! IT'S AMAZING! IT'S STUPENDOUS!! YOU'LL LIVE TO TELL THE TALE TO YOUR GRANDCHILDREN!!! THAT'S NOT TIRE SMOKE YOU SEE, IT'S EVERY OTHER POSSIBLE COMBUSTIBLE IS THE CAR!! YOU'LL BE AMAZED BY THE SENSORY OVERLOAD!!! BRING THE MISSUS. BRING THE KIDDIES!! BRING THE WHOLE FAMILY! !